Pre-Engineered Fire Systems is an expert in the protection of flammable liquids and AFFF foam systems. We provide pre-manufactured products to get your fire protection systems up and running in short order. We work with owners and fire protection contractors to provide complete systems that can installed in any weather or environmental conditions. Click on the tabs below for the most typical type of hazards our foam system enclosures protect. Remember that any of these foam systems can be incorporated with our fire pump skids . The dangers associated with approaching a tank on fire are extreme. Traditional installations have been protected by a semi-fixed system that requires a foam trailer to be pulled up close to the tanks and connected the foam-chamber piping. The wasted time for human action significantly increases the size of a fire before the seal can be protected. The first minute is the most critical. These semi-fixed systems were the standard method due to the costs associated with a fixed system even though fixed systems are significantly superior fire protection. 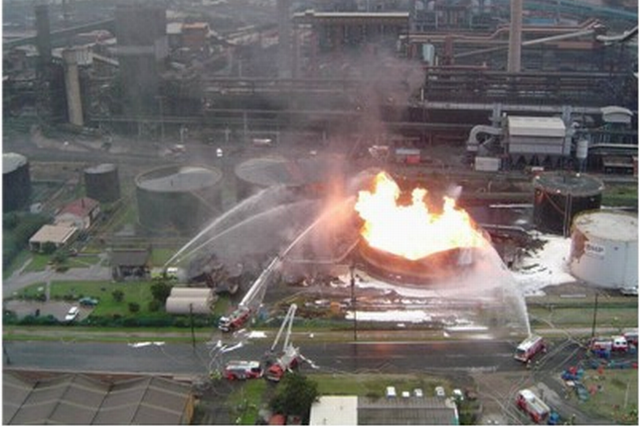 A fixed system allows for prompt and safe release of foam to limit the spread of fire when it counts at the beginning. 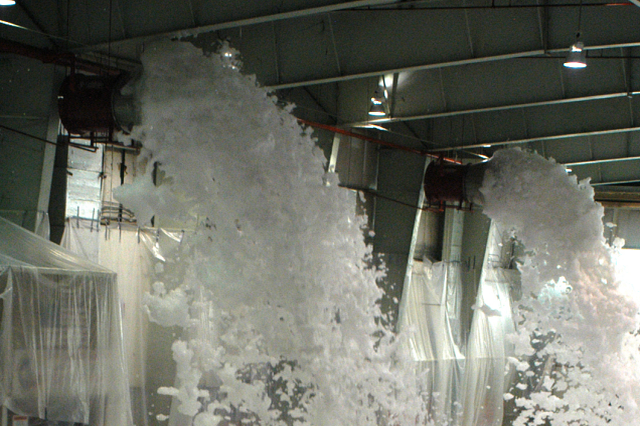 The traditional argument against fixed foam systems has been cost. 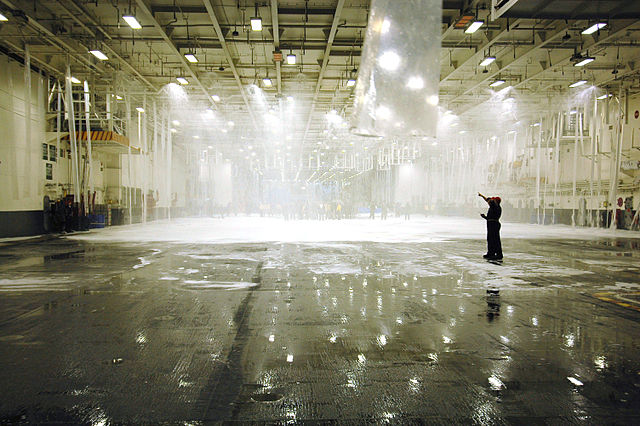 But with a Pre-Engineered Fire System's " Foam-and-Go " enclosure, that is no longer a valid excuse. No changes to your underground are required. Just remove a hydrant, drop our enclosure over it, and connect to your existing semi-fixed piping. Give us a call and let us work-up a cost for you. 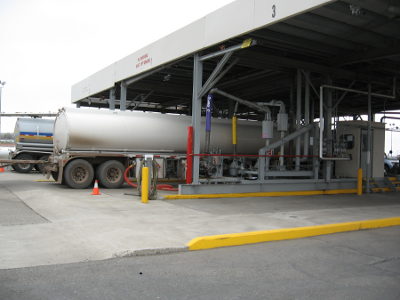 Most oil companies have a standard for protection of loading areas due to the increased risk of spills and fires. This is especially important where low-flash point materials are handled, such as ethanol products. Fire protection is recommended for these facilities due to the associated business disruption risk. When there is a fire (not if), how long will it take for the loading rack to be back to full operation? For fully protected loading racks, they are usually back-up and running in one day. Compare this to months of rebuilding from the ground up. 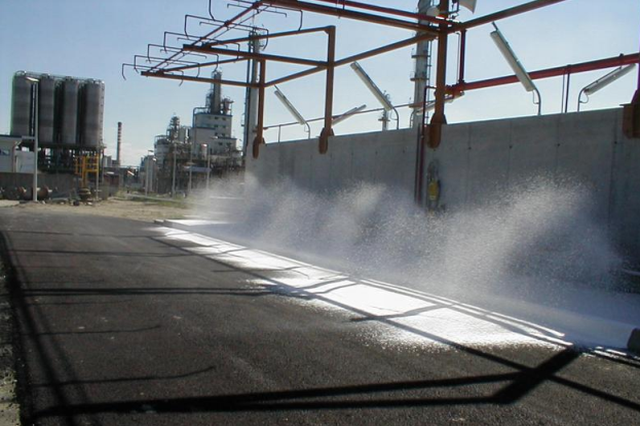 Most often a Foam-Water Deluge System are provided for protection. Deluge systems employ open discharge devices which are attached to a piping system that is connected to a water supply through a valve that is opened by the operation of a detection system, which is installed in the same areas as the discharge devices. When this valve opens, water flows into the piping system and discharges from all discharge devices attached thereto. A minimum design density of 0.16 gpm/sq ft (NFPA 16 para 7.3.2.1 and NFPA 11 para 5.6.5.3.1) is typically provided. 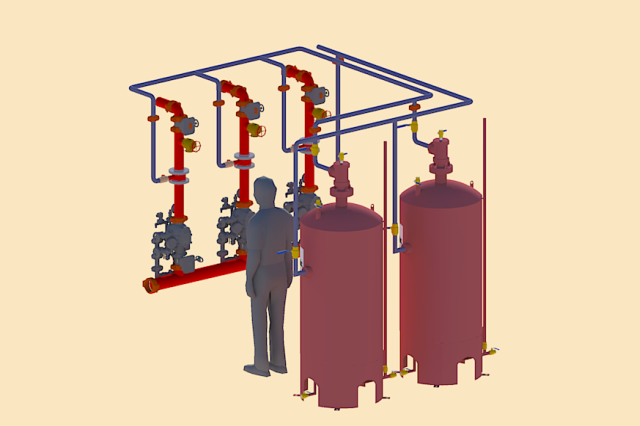 The foam solution will be designed to discharge for a period of 10 minutes over the entire system (NFPA 16 para 7.3.3.1). The maximum area per sprinkler is 100 sq ft (NFPA 16 para 7.3.7.2). The maximum spacing between sprinklers or branchlines is 12-feet (NFPA 16 para 7.3.7.2). The maximum overflow above the specified discharge rate per sprinkler is 20 percent (NFPA 16 para 7.4.1.1.1). 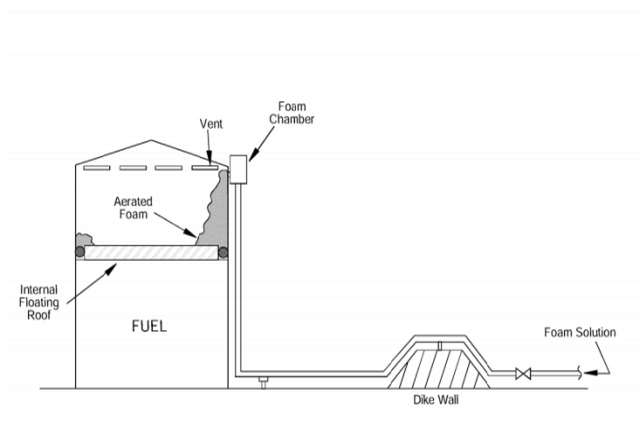 Supplemental protection for below the tanker should also be considered per NFPA 11 paragraph A.5.7.3.4.2 which states "Overhead application by foam-water sprinklers or nozzles could require supplementary low-level foam application to provide coverage below large obstructions. Overhead pipe work can be susceptible to damage by explosion. Overhead application by foam-water sprinklers or nozzles might require supplementary low-level foam application to provide coverage below large obstructions. Overhead pipe work can be susceptible to damage by explosion." Synthetic low-expansion foam concentrates are available in two types: standard AFFF's (Aqueous Film Forming Foam), and AR-AFFF (Alcohol Resistant Aqueous Film Forming Foam). Standard AFFF's are listed for their percentage to be added to water to extinguish hydrocarbon or non-miscible fuels. Give us a call and let us work-up a cost for you. Information on our pre-built skids for Flammable Liquid warehouses coming soon.